The Mojo Affiliates program has retroactively changed their terms and conditions and reduced the starting revenue share commission to 5% as of July 4th, 2015. Affiliates are advised to proceed with caution when working with this program. Mojo affiliates is made up of 3 brands that are merged into one poker, sportsbook and casino affiliate program. The brands are GEObet, Gr88 and Bulldogg777 with all of them offering a casino, sports and poker client. The Gr88 poker site features both a Windows download along with a Mac download version. Gr88 is an English and Portuguese site, GEObet is an English and Spanish site, while Bulldog777 is available in English and Russian languages. Players are accepted from most countries except for the United States and France. 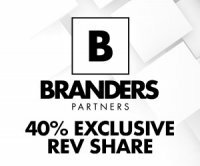 Affiliates can choose between revenue share ranging from 35% to 45% or CPA by request. Affiliates can get paid by Neteller, Skrill, bank wire or through their player account which has more options available. The 3 brands are licensed by the Curacao Gaming commission. Mojo Affiliates backend is powered by MyAffiliates software and presents the current month earning statistics. The live visits shows date & time with location IP and country, referring URL, plan type, media and campaign. The current payments owed are also presented in the dashboard for both revenue share and cpa of the current month and yesterday. The reports section provides daily earnings and payment reports. Affiliates can also search for states on specific date ranges for more accurate results. The account tab allows you to update information when needed. The marketing tab is where you get all of your links and creatives such as banners, text links and mailouts. Your affiliate manager can be reached through the contact method in the system or directly by email. Mojo affiliates has been online for many years and has a strong affiliate support staff that are eager to help with promotions and special requests. Affiliates can start with a good revenue share commission or get CPA by request only. The casino and poker products of both sides are equally strong to promote as a standalone casino or poker room. Mojo Affiliates is the affiliate program for 3 international brands. The brands are GR88, Bulldog777 and GEObet. All 3 brands offer players casino (Microgaming), Sports (Tain), and Poker (InstaDeal). Players only need to create one account, to play all 3 products and their chosen brand. GEObet is ideal for Canadian, and Spanish speaking countries, Bulldog777 to Eastern and Western Europe with languages available in Russian and English, and GR88 is targeted towards Western Europe and Portugese speaking countries.